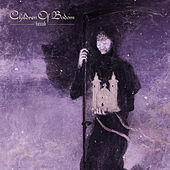 One of the biggest metal bands to come out of Finland, Children of Bodom bang out heavy but melodic death metal with synthesizers playing a major part in the music -- which isn't a bad thing at all, as songs are suitably brutal, with wriggling guitar riffs and pit-of-hell wraith-vocals. 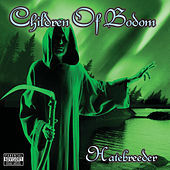 At their best, Children of Bodom sound like Ram It Down-era Judas Priest mixed with Celtic Frost. The name comes from a notorious, as-yet-unsolved 1960s mass murder near their hometown of Espoo, Finland, in which three teenage campers were brutally killed. The band's 1997 debut, Something Wild, sparked international fame for them, and they've been steady sellers both in Finland and abroad ever since.